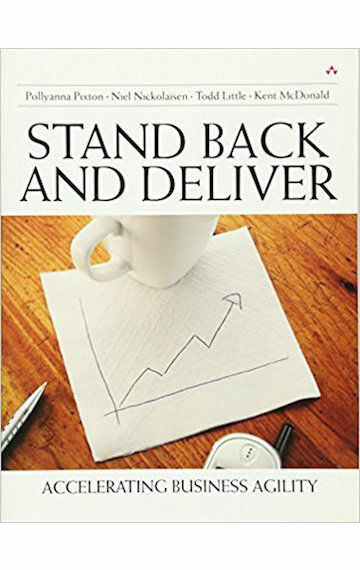 Whether you’re leading an organization, a team, or a project, Stand Back and Deliver gives you the agile leadership tools you’ll need to achieve breakthrough levels of performance. This book brings together immediately usable frameworks and step-by-step processes that help you focus all your efforts where they matter most: delivering business value and building competitive advantage. You’ll first discover how to use the authors’ Purpose Alignment Model to make better up-front decisions about where to invest limited resources–and how to filter out activities that don’t drive market leadership. Next, you’ll learn how to collaborate in new ways that unleash your organization’s full talents for innovation. The authors offer the Context Leadership Model for understanding the unique challenges of any project, and they help you tailor your leadership approach to address them. You’ll find a full chapter on organizing information to promote more effective, value-driven decision-making. Finally, drawing on decades of experience working with great leaders, the authors focus on a critical issue you’ll face over and over again: knowing when to step up and lead, and when to stand back and let your team produce results.